Amazing music and voices to make you think in your mind while you groove in your pants. It's extra Fishy in August ǰɛǰɛ! Cousin Awd + Cousin Koosen talk about Fish Day in TlaAmin with young Cousin Taryn. Cousin Robert of the Sunshine Music Festival shares stories and music from this 37th annual community event. Plus special guest Mark Leiren-Young speaks about the Southern Residents J-Pod of Orcas, including Tahlequah and her marathon tribute. The Cousins celebrate womens voices with fantastic music from around the world. We talk about Couragous Conversations and Heroic High School Kids! We learn more ayahjuthum and generally have a grand ol' time. February's show to keep you company Cousins! Lots of Jeh Jeh in the studio talking 'nan' names with just a little bit of name calling. Interview & new music from Ndidi O - shout out to the Mixies / Beige-ies! Plus our Family song for Family Day. 42fish Reschooled: Raise your voices! Tuba Music is played and incorrect bands announced, followed by an update with the Hewhewshin Reconcilation Canoe Project. Join the cousins as they delve into deep subjects of life and death as the season changes. Honouring the passing of people and the cycle of life, 42Fish ask you to reflect. Cousin Awd and Cousin Devin are joined by Cousins Gary and Amaya to discuss summer traveling. 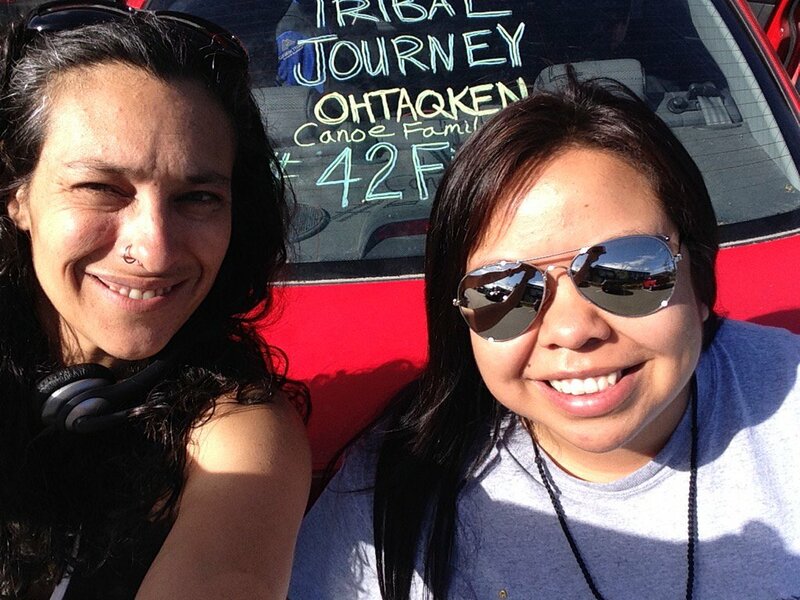 Correspondants report from Savary Island, and from the Ohtaqken Canoe Family along the road to Campbell River.